Eliezer Castro of ‘Bloodline’ on Finding Success Out of L.A. The traditional path for an aspiring television or film actor once was to leave their hometown and head west to Los Angeles. But recently, cities like Atlanta and New Orleans have become magnets for production, making actors less L.A.-reliant. Take Eliezer Castro—the Miami native spent years in New York and L.A. never catching his big break. Family brought him back to South Florida where he was surprised to find more acting success than in the big city. After small walk-on roles on shows like “Burn Notice” and “Graceland,” he nabbed the lead in the ABC TV movie “Revenge for Real: The Miami Millionaire” and a supporting role on the Netflix series “Bloodline,” working alongside Sissy Spacek and Kyle Chandler. Given your success in Miami, do you still think it’s worth it for an actor to move to the traditional acting hubs of New York or L.A.? The four years I spent in New York doing Off-Off-Broadway were invaluable. I’d recommend that to any actor. All the theater work, the acting coaches, helped me tremendously. But there do seem to be more opportunities now in other cities. 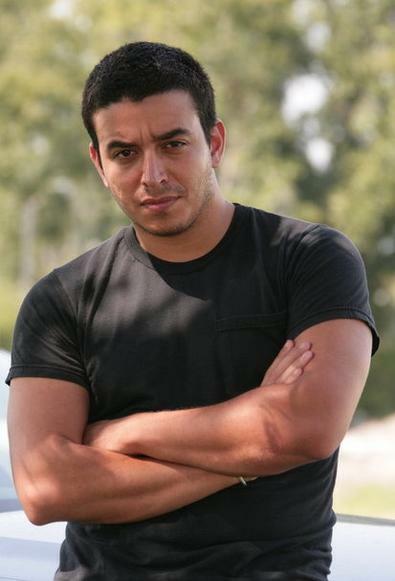 When my agent sent me out to audition for the part of Carlos Mejia in “Bloodline,” I was warned I was going up against L.A. actors and that they never hired a local Miami-based actor for the part. But I got the part, so I guess they were actually open to hiring locals. What do you attribute getting these major roles now in Miami? I like to think I’m getting better as an actor. But if you look at the guy I played in “The Miami Millionaire,” Danny Lugo, I look just like him, so maybe I just got lucky. But I keep going to auditions, prepare, and hope for the best. Do you think the way actors can audition today via Skype or video means actors are moving away from the traditional NYC and L.A. scenes to take advantage of the lower cost of living in other cities? It works both ways. Skype and video auditions also mean a casting director in Miami no longer is limited to local talent that in turn means more competition for the actor. With the way things are going, with production studios being built in cities like Atlanta and Miami, I believe that within the next few years the romantic idea of moving to L.A. to become a professional actor will be a thing of the past. Do you get to know the local casting directors and talent agents better in a city like Miami that has fewer actors? It’s definitely a smaller community. It does get to a point where when you walk into an audition and everyone says “Hello,” and your first name. I would say everyone knows everyone in the business by name at least. Did you learn anything acting with the accomplished cast of “Bloodline”? The main thing I learned is you can be critically acclaimed, an Oscar-winning actor, and still treat your fellow actors warmly. I was nervous going into it that it might be socially awkward. But from the first day on set at wardrobe, they treated me like a colleague, like an equal, like a friend.